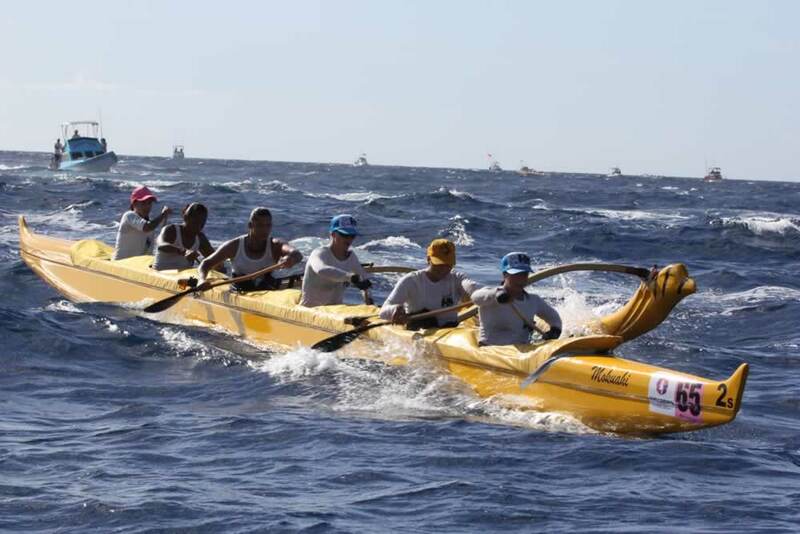 Race on. 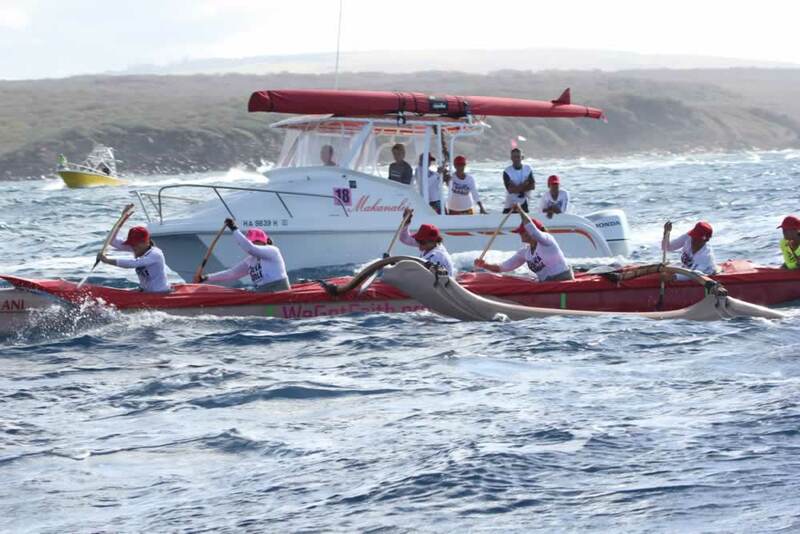 Last year due to an unruly Kaiwi Channel, Na Wahine O Ke Kai was cancelled. 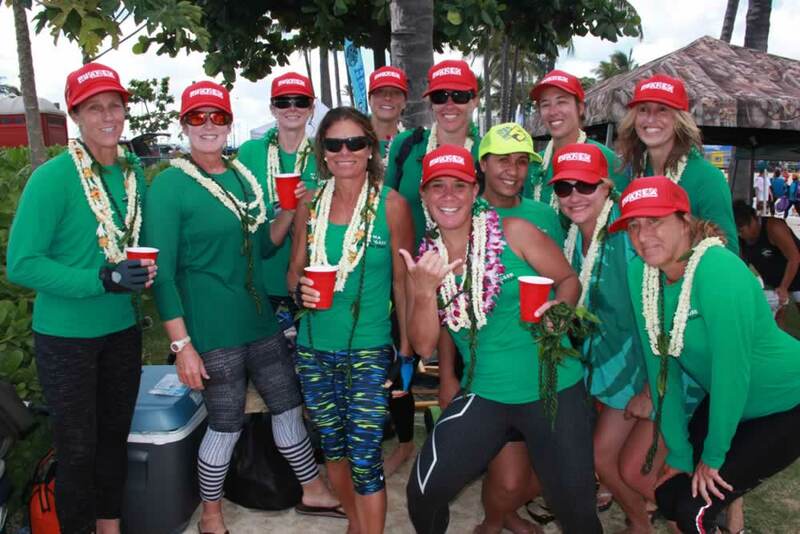 The year before that, 2014 Waikiki Beach Boys claimed the title, so with surging determination Team Bradley was out to get it back. 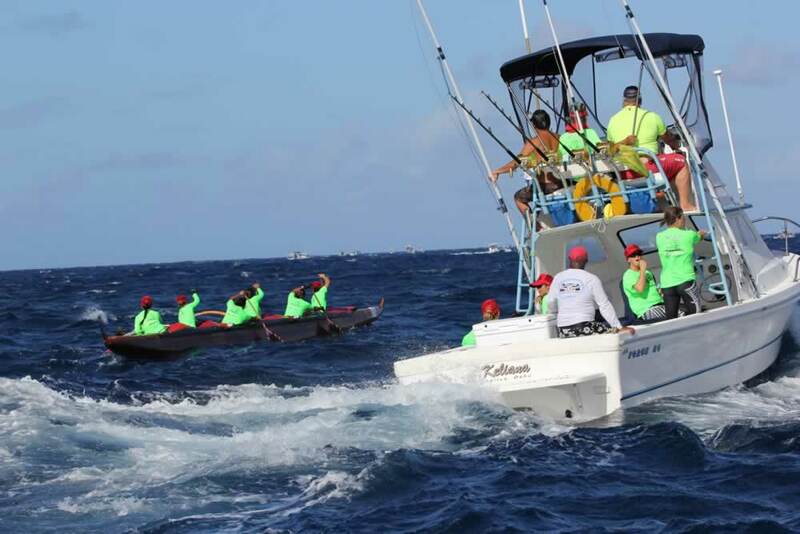 Team Bradley had won nine of the last 11 races, including 6-in-a-row. 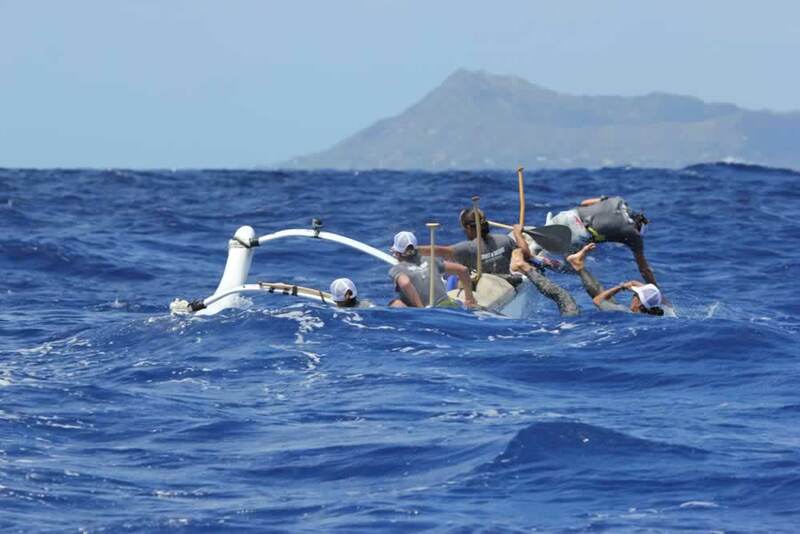 The only other club with more consecutive wins was Offshore of California. 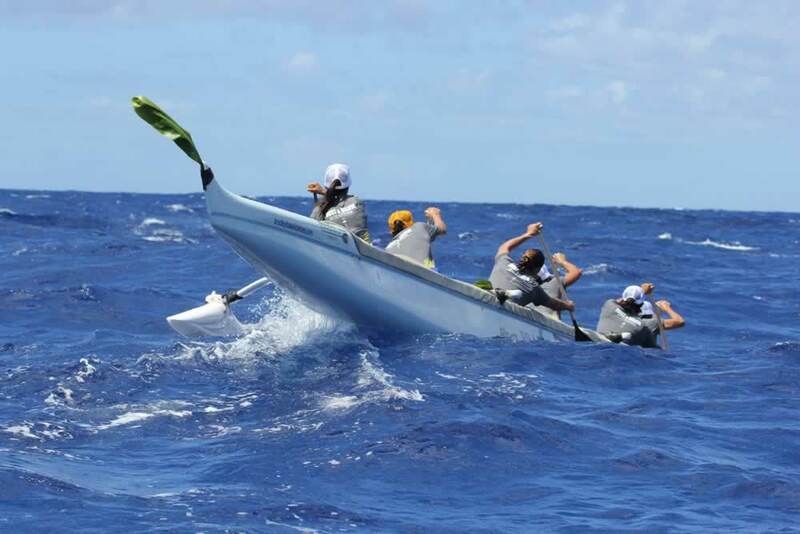 They had set a high bar for crews to top with 11 consecutive race wins from 1986 through 1996. 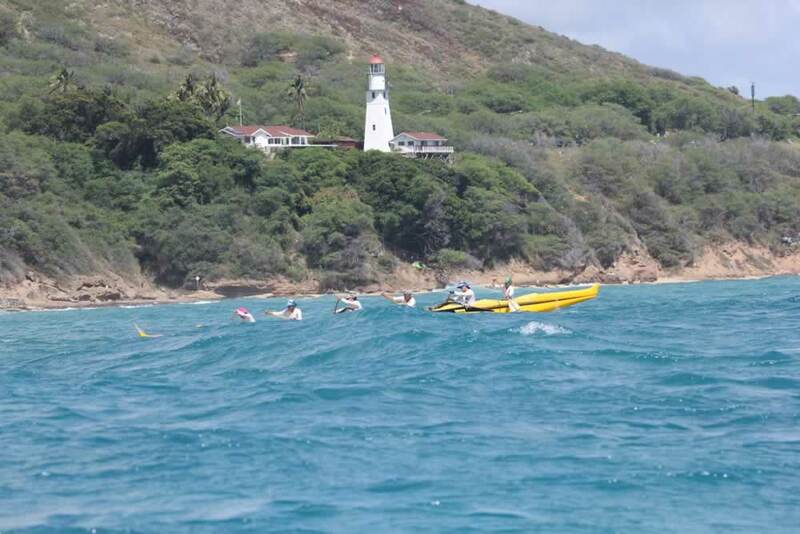 The channel pushed 6-foot swells from the North-East. 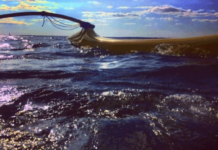 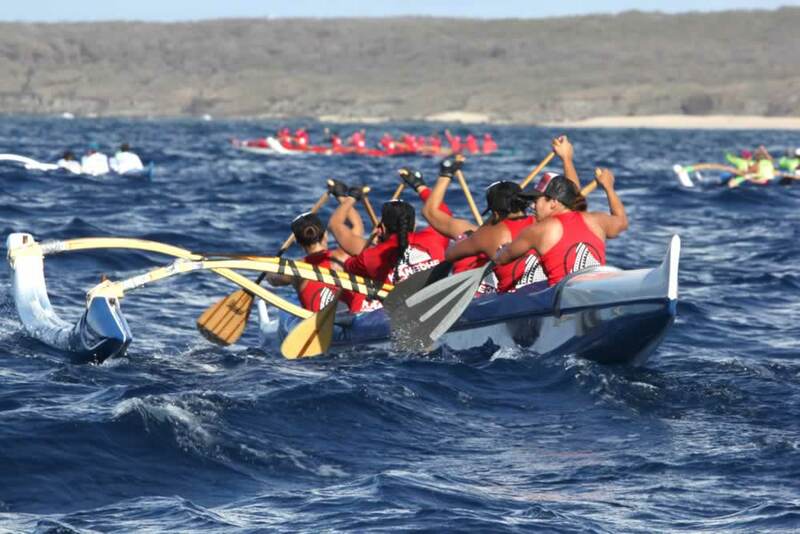 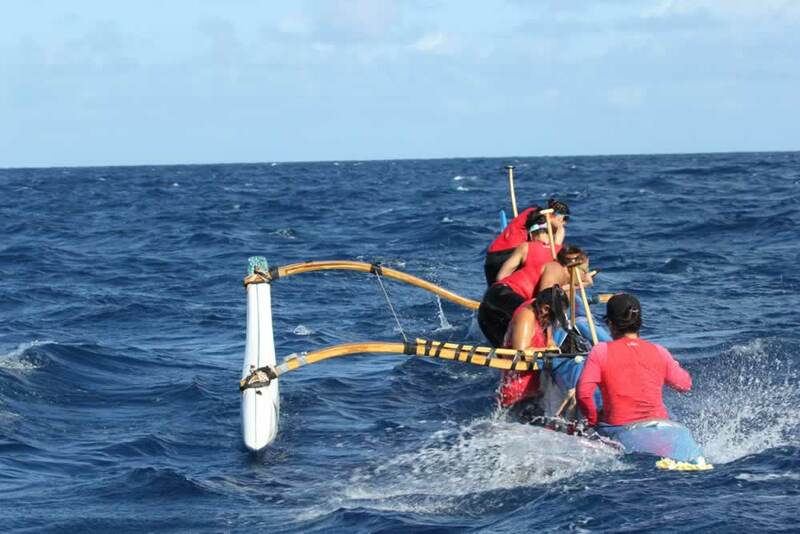 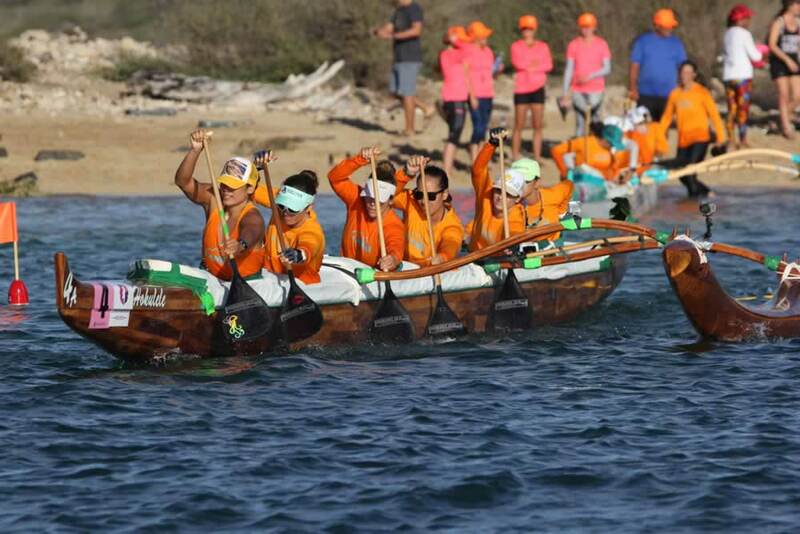 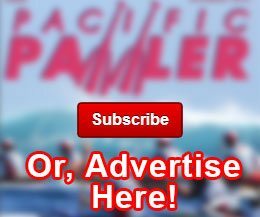 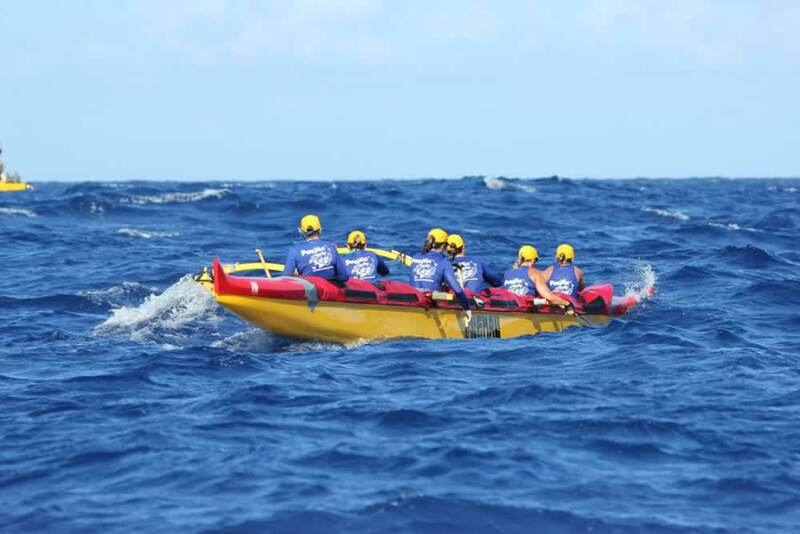 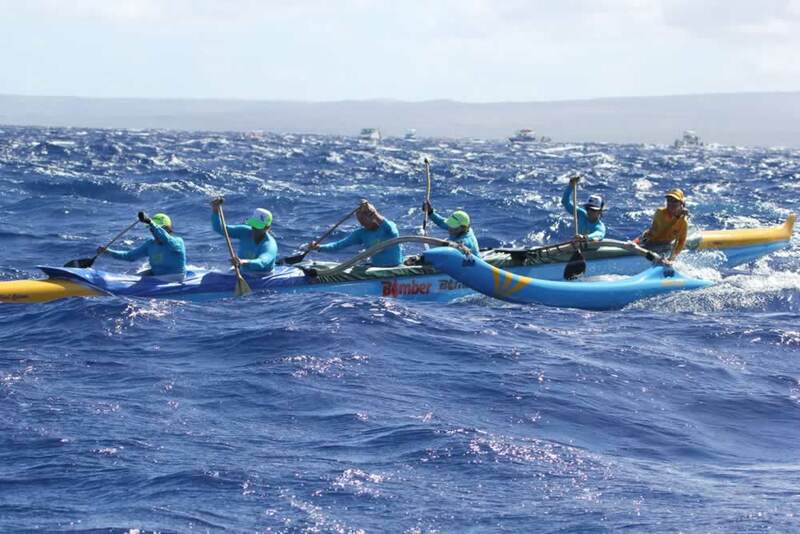 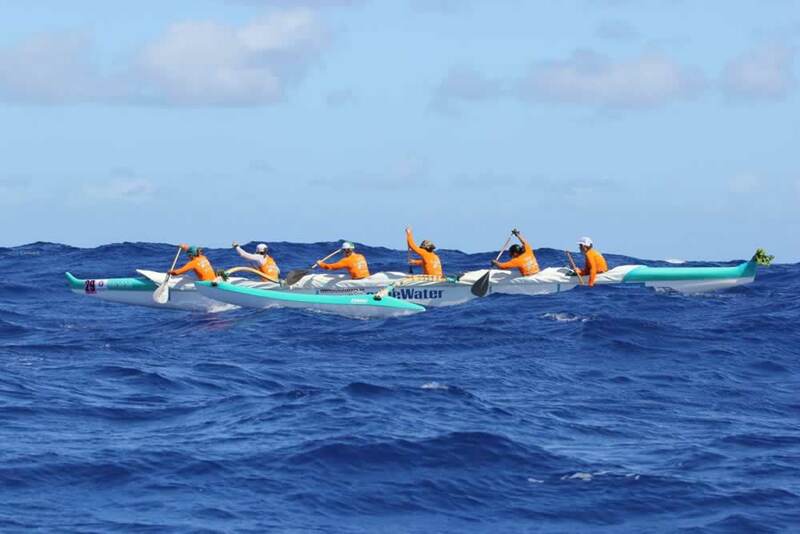 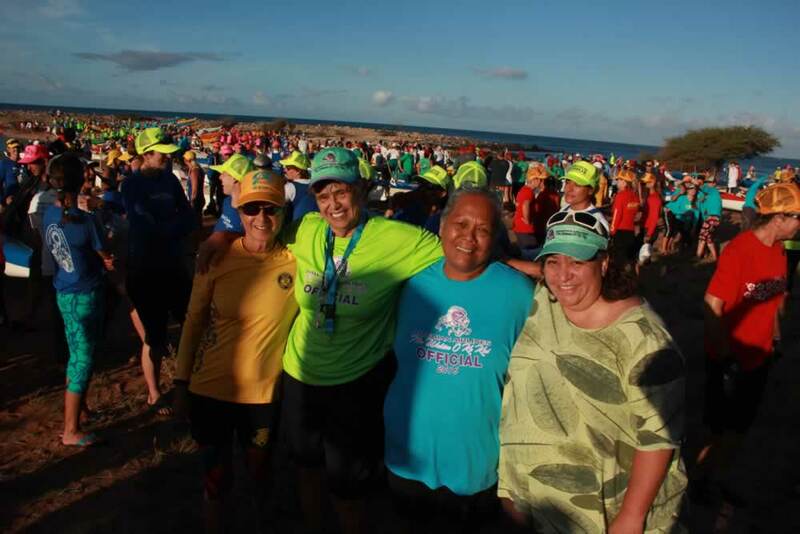 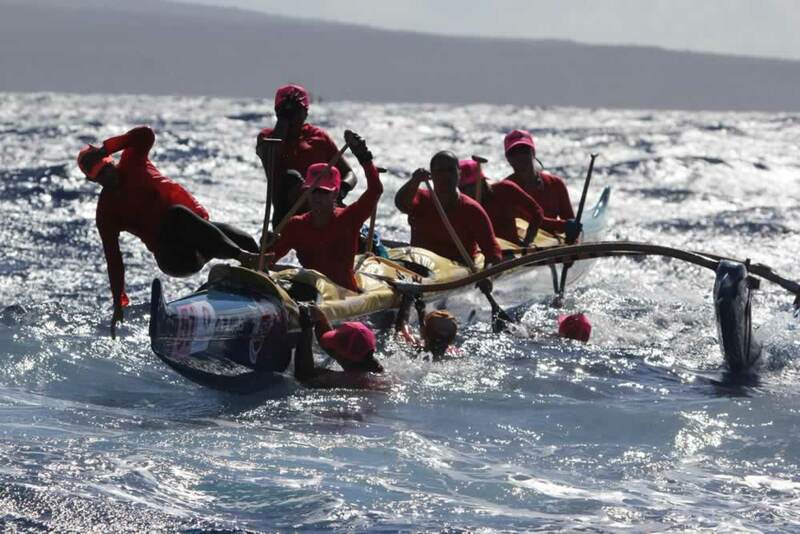 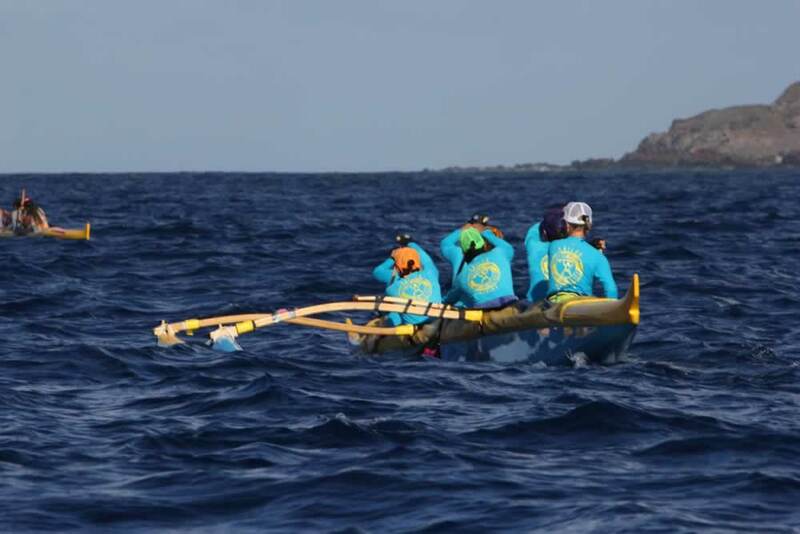 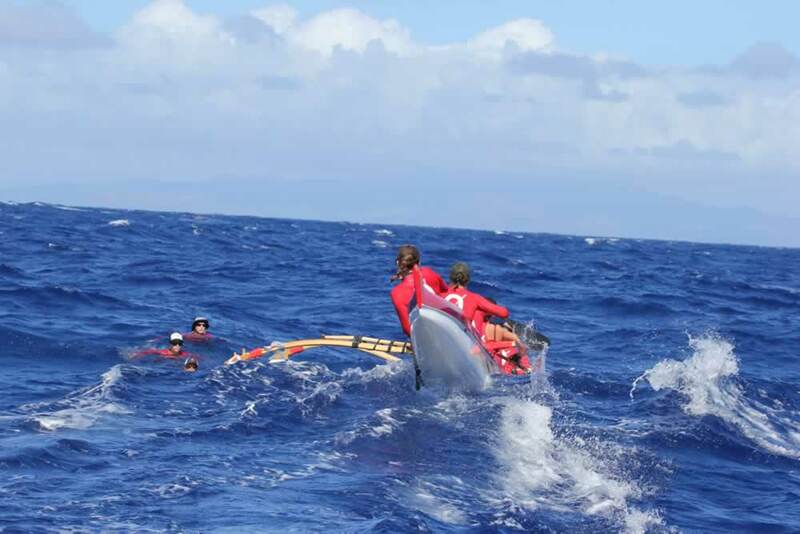 By mid-channel Team Bradley had established the lead from Outrigger Canoe Club and kept increasing their lead with long rides outside of Koko Head finally winning the race in 6:05:34. 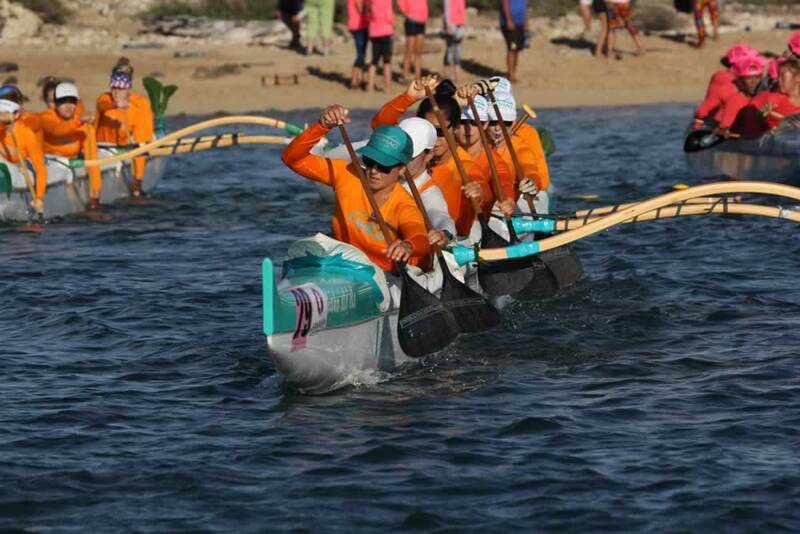 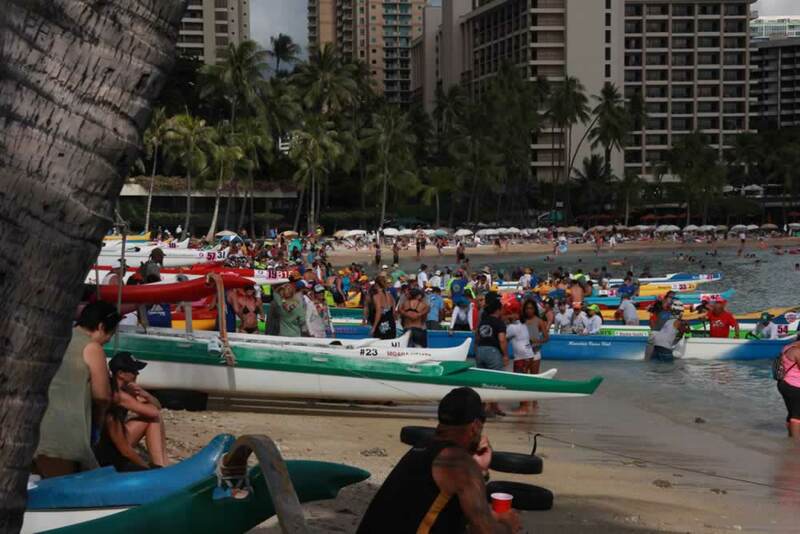 Outrigger Canoe Club placed second, 6:11:46 and Hui Nalu third, 6:15:11. 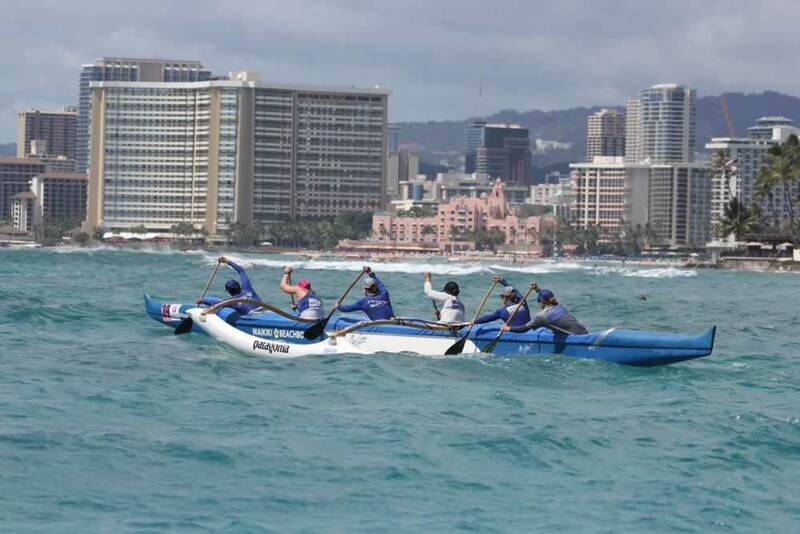 The Waikiki Beach Boys who had won the race in 2014 placed 4th this year, 6:16:47, and Lanikai Canoe Club capped off the top five crews to reach Dukes Beach in Waikiki in 6:24:44. 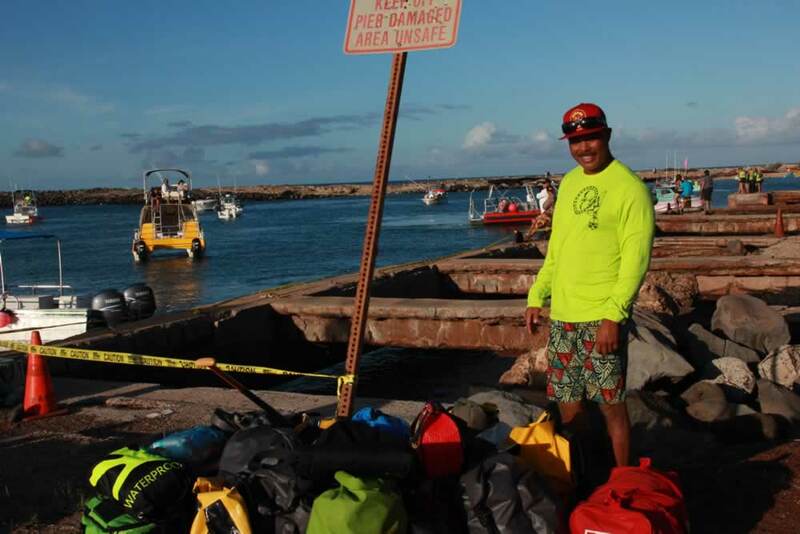 Rounding out the Top 10 were: Kawaihae from the Big Island, 6:33:31; 7th Healani Blue, 6:35:49; 8th Dana of California, 6:37:35; 9th Team Revolusun, who was first in the 40+ Division, 6:37:36; and 10th Kai Opua from the Big Island, 6:44:07. 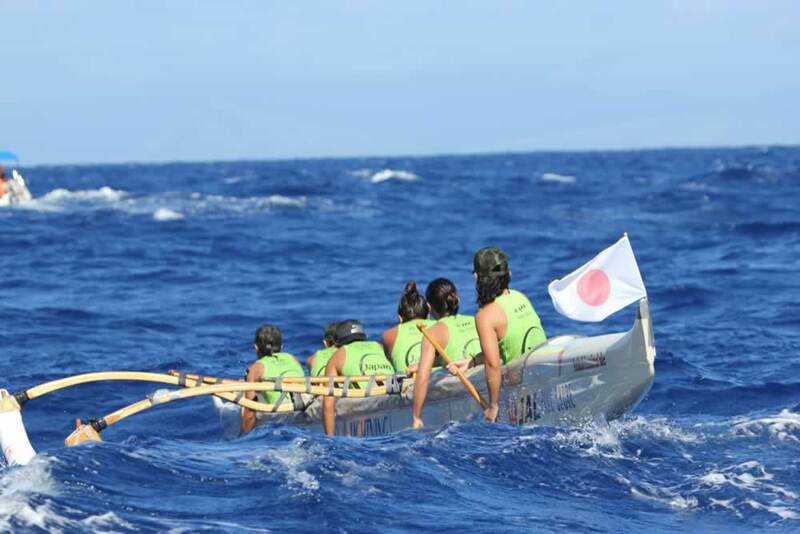 The first international team was Team Japan 11th, 6:46:12. 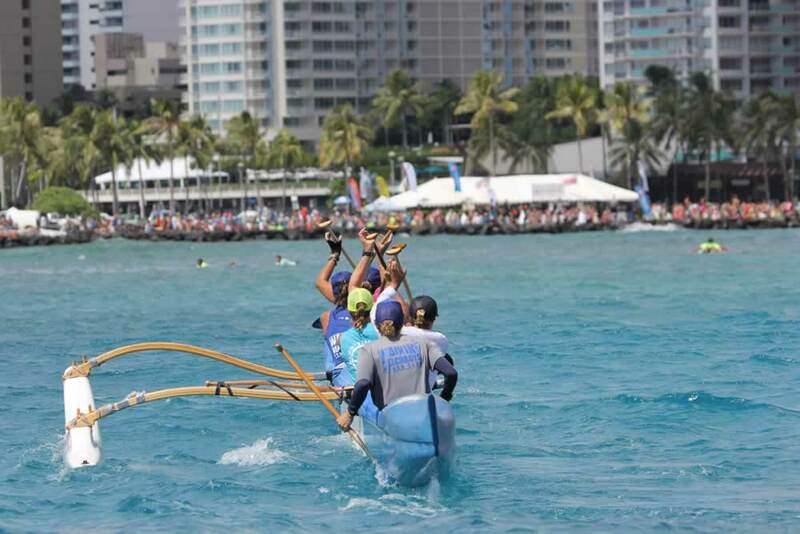 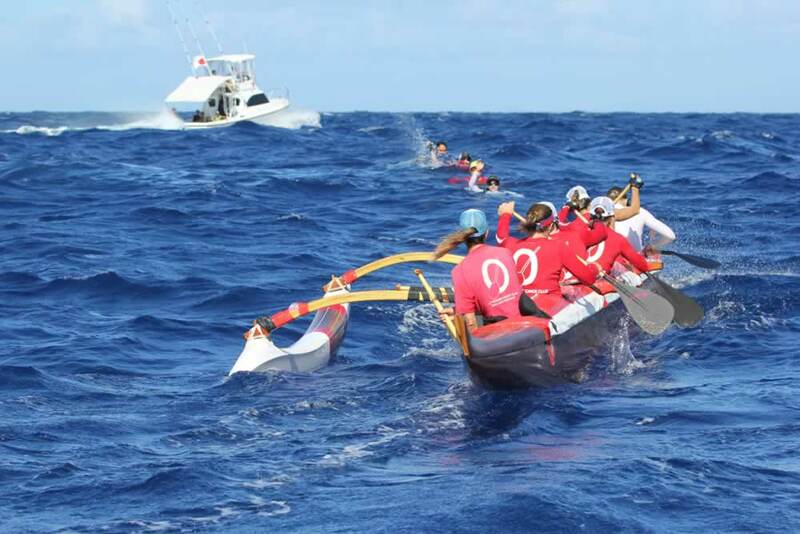 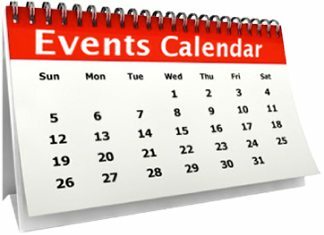 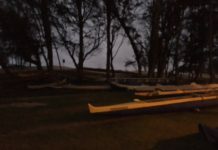 Kailua Canoe Club, 14th overall won the 55+ in 6:54:10, Outrigger Canoe Club won the Koa Canoe Division in 7:01:44 and finished 17th overall. 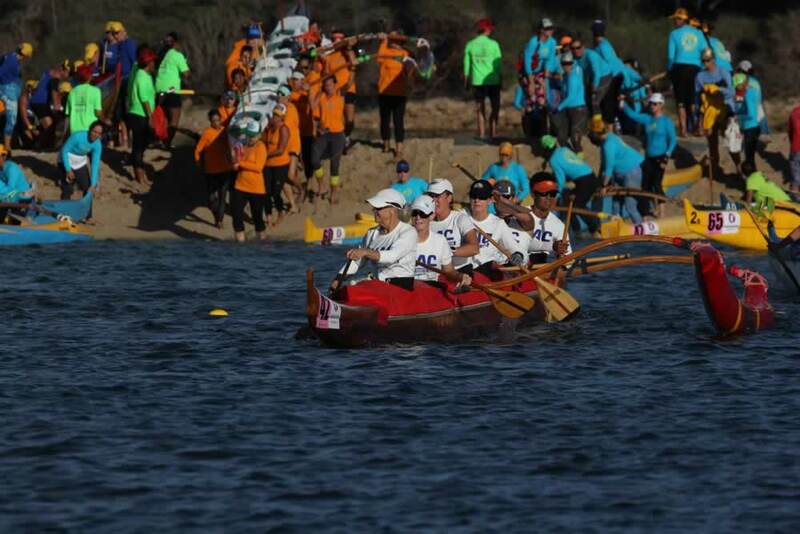 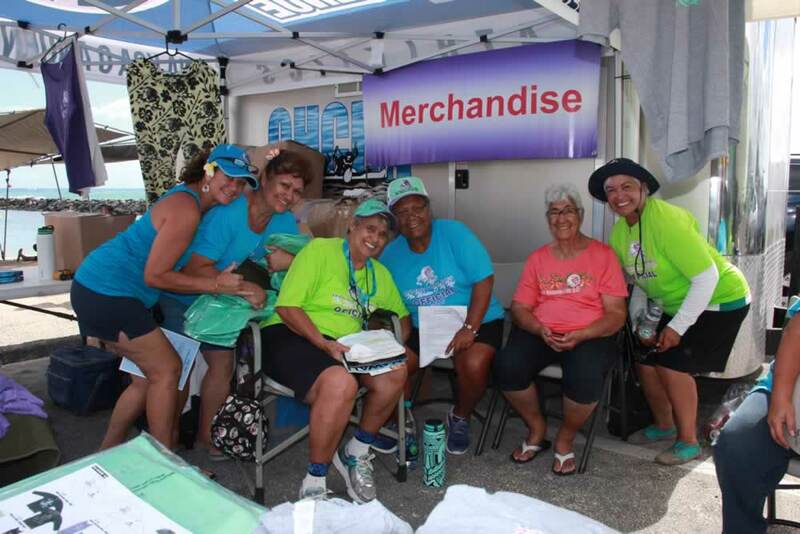 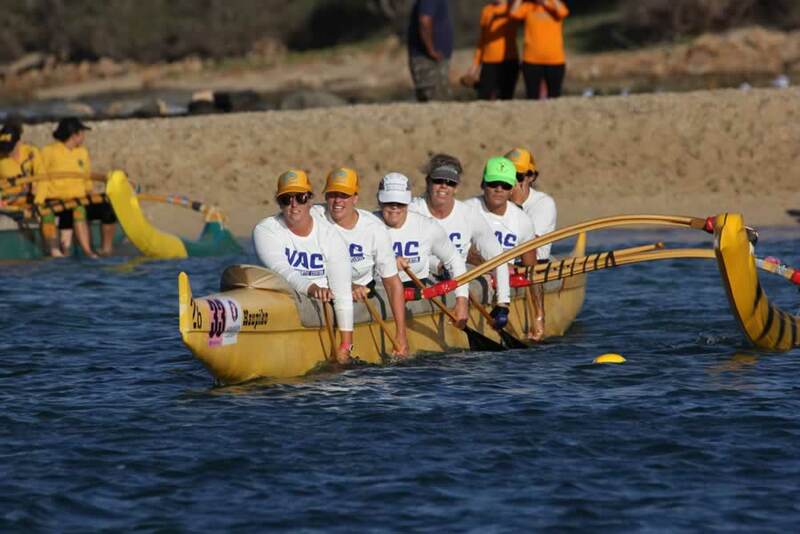 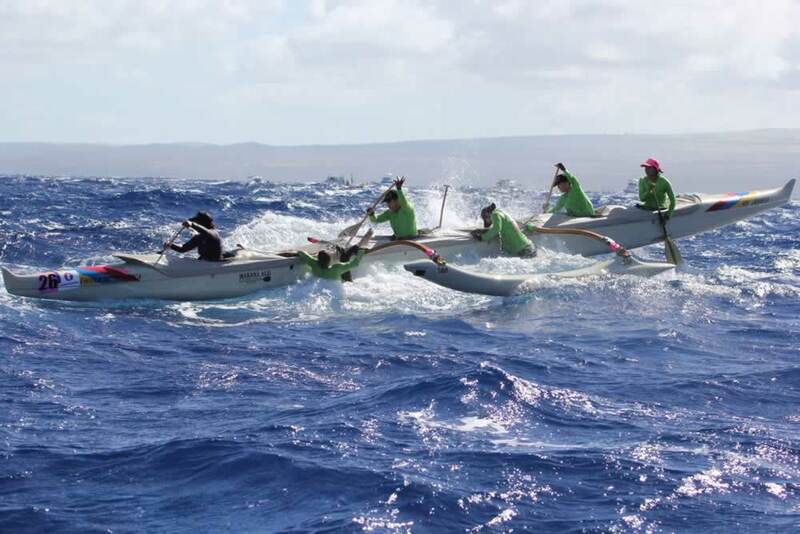 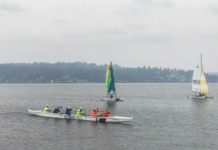 Other notable crews racing were: Washington Canoe Club from the District of Columbia, 18th in 7:02:40; the Pacific Aunties of Australia took 20th winning the 50+, 7:06:12; 36th overall, Lanikai Juniors’ time finishing in 7:25:56; and 38th out of 63 crews was Hong Kong/Hui Waa, 7:31:46. 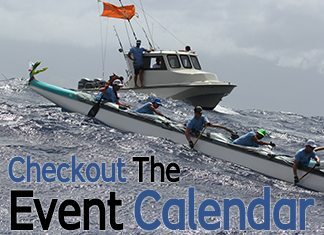 More on this race is at, www.nawahineokekai.com.